Born on 8 September 1935 in West Bromwich, he started alongside Howe in 1950 on the ground staff at The Hawthorns. Brian was signed by WBA as a professional in October 1952, a month before Don Howe. A right sided forward who could play any attacking role, he then had to serve his National Service from 1954-56. Soon afterwards he managed to break into the first team at WBA, and in his first starting season 1956-57, he played as inside forward for the first few months but had to go on Army Reserve training course and lost his place. While at WBA, Whitehouse was mainly used in a back-up capacity, owing to the strength of their forward line in that period, and overall he made 46 first team starts before a move to Norwich City in March 1960. In March 1962, he found himself in Wrexham, and after just over a season in Wales he went to Crystal Palace, in November 1963. 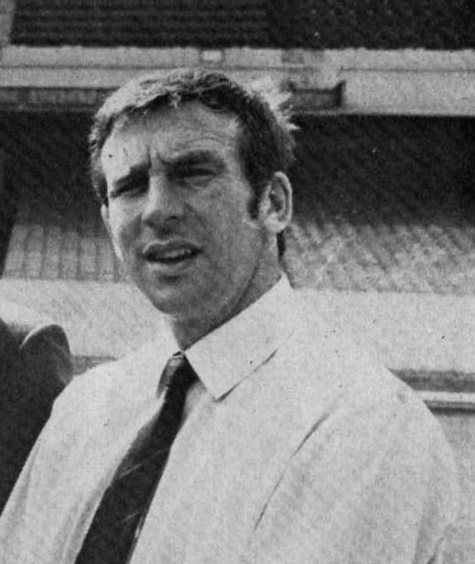 Made captain at Selhurst Park, he made the short trip across London to the Valley in March 1966 for Charlton, and by this time he was a utility half back. This was a short stint as he then went to another London club, Leyton Orient, for whom he signed in late 1966. Also made captain there, an achilles injury in October 1967 effectively ended his playing career. A career in which he made a combined total of just over 300 games for his collective clubs, scoring over 80 goals. Despite this success he nevertheless left Highbury, with his long-term friend Howe, to go to WBA as chief coach in July 1971. He was Howe’s first appointment, and George Wright the Gunners’ physiotherapist followed soon afterwards. Near the end of the 1974-75 season Howe was removed, and Whitehouse stepped in as WBA caretaker manager for a few games at the end of the campaign. Remaining with the Baggies on the staff, he then moved to Manchester United as reserve coach with Ron Atkinson in 1981. Widely liked and respected in the game he also had a period at Coventry City as their chief scout. Brian Whitehouse passed away on 16 January 2017.